n elementary school I spent many lost afternoons hiding in the library nook reading while settled deeply into a green vinyl beanbag chair surrounded by the scent of musty paper. The first rite of passage upon learning how to write one’s name was to inscribe it on a library checkout card promising the book’s safe journey and return. I remember reading the list of names that had come before me and cradling the feeling that I was a part of this book’s history and it’s shared, communal experience exposed by curly-Q handwritten names and room assignments revealing repeat customers devouring the book beyond it’s deadline. An act of declaration that’s dissolving faster than we can see as cards are removed permanently and bar codes take their place. he Japanese term “wabi-sabi” is described as the art of finding beauty in imperfection and of accepting the natural cycle of growth, decay and death. But unlike the American culture focused on spectacle, wabi-sabi is underplayed and modest, the kind of undeclared beauty that waits patiently to be discovered. It’s found in time-worn faces of expired library books that have traveled through many hands, and across county lines until they have reached their final resting place at ex-library warehouses where safe harbors are found in Costco-sized rows of “discards” and “withdrawns” rising within inches of the ceiling. he volumes documented in “Expired” serve as specimens akin to post-mortem photography in the Victorian Era when family members only received the honor of documentation upon their demise. Each picture serves as an homage calling out palpable echoes etched into the pages by a margin-scrawled note, a yellowed coffee splatter or sticky peanut butter and jelly fingerprints. It's easy to feel a sense of abuse and loss, but they say much more. They show the evidence of everyone that has touched them, because they were well read, and often well loved. They were not left on shelves, untouched. Now they have a new life, as portraits of the unique shared experience found only in a library book. We must take time to celebrate the swiftly disappearing, unique communal experience offered by library books as it’s quickly replaced by downloads, finger screen-swipes and plastic newness. If you listen carefully you can hear the aching poetry calling from tattered pages that carry the burden of their years with dignity and grace. From the moment I opened the email with Kerry Mansfield’s book submission I was hooked. 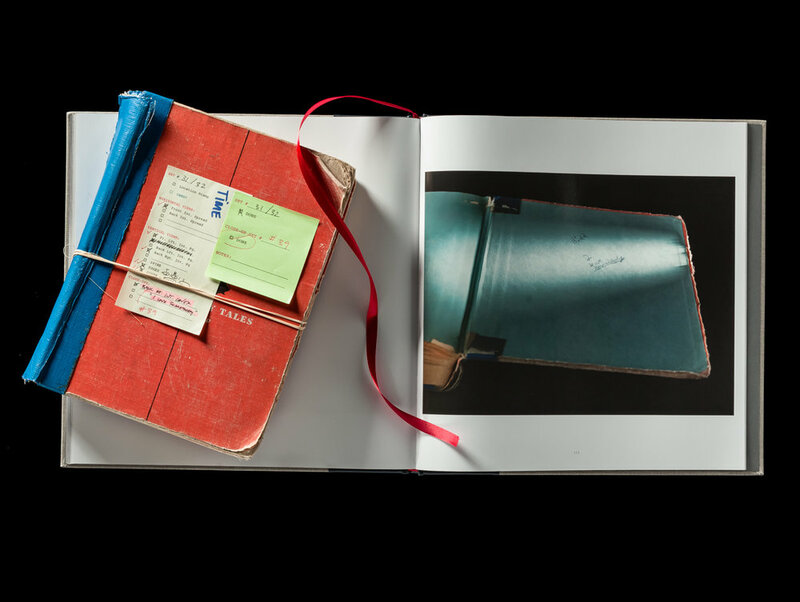 As I big fan of photography book and artist books, I was intrigued by the idea of a book that is dedicated to books themselves. The notion of a book containing the memory and passion towards other books was charming. Once I received the book itself, a heavy and large book, it was yet another layer of experience. The high quality printing and beautiful colors, allowed me to feel as if I was looking at those books directly, with no barrier between us. The photography of the books gives them a glorified and heroic feeling, which makes me as the viewer know these books are important – not only to the photographer but now, to me. One of the things that Kerry mentions as part of her statement and inspiration of the book, is the idea of post-mortem and finding the beauty in the decay. I found that to be very present in the book and in the photo themselves. It seems that each photo was carefully taken, each book observed for hours, in order to find its beauty and try and shine a light on it. he book utilizes familiar book and library appearance yet does not feel like a gimmick move. These elements are used to celebrate the art form and the rich history of libraries and books. The red ribbon in the middle of the book is almost a necessity of the book in addition to the library card on the back book cover. These pieces are a big part of the experience and it seems that Kerry is trying to replicate the experience she loved growing up in the library, to her audience today. xpired is a beautifully crafted book that gives a new life to these books. Each book’s portrait is a story of not only that book as an individual, but a story of cultural history of years, authors, artists and more. It is a part of our collective experience that is condensed in to a book about book. Please consider purchasing your own copy here – you won’t regret it!